While on vacation at the luxurious Salamander Resort and Spa in Middleburg, VA, I decided to walk around downtown. I saw a sign on the street corner that read “Popcorn Monkey“with an arrow pointing left. I followed the sign, walked down into what appeared to be the basement of an office building and met the owners Deltone “Tone” Moore and his wife Mickey. Tone (sounds like Tony) was mixing the popcorn and Mickey was managing the cash register and the happy customers. The popcorn is popped fresh on the premises. Tone and Mickey offer a variety of flavors such as Green Apple, Hot Cinnamon, Lemon, Blueberry, Orange, Old Bay, Lemon, Caramel, Buffalo Wing, Texas Tornado, White Cheddar, Cornfeti and more. 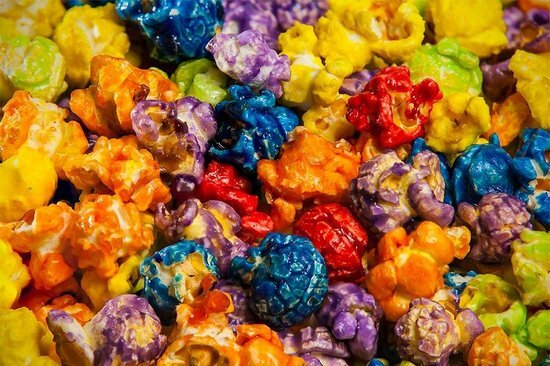 Speaking of Cornfeti, that flavor mix is like the “Fruit Loops” of popcorn. In addition to dozens of flavors, Popcorn Monkey sells a variety of nuts, organic olive oil, Italian Ice and an assortment of retro candies. If you can’t make it to Middleburg, VA, no need to worry. You can visit their website and have your order shipped to your home or office. Are you looking for something unique for your special occasion. How about a Popcorn Bar! Corporate Events – We can set up our table and serve your guest or provide our bags with your own logo on it. How about adding your Company Logo to our 1 Quart Pails (White or Silver). 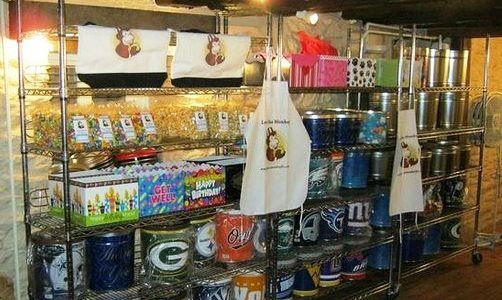 Graduation Party – Fun size bags or Bulk orders available. Wedding & Shower Favors – Create your own label and we will add it to the bags for you! Thank you gifts for the Wedding Party – Create your own label and they will add it to the bags for you! 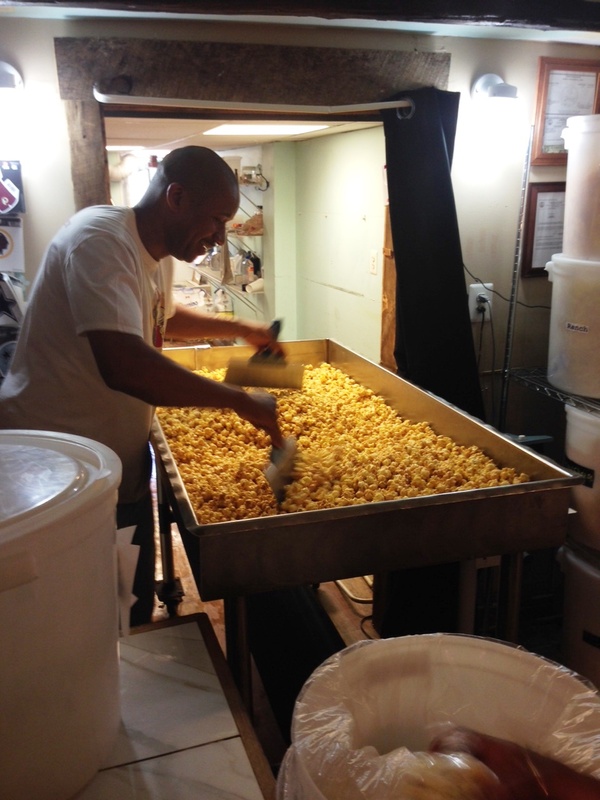 Owner Deltone Moore mixing a fresh batch of popcorn. Visit Popcorn Monkey or visit their website. Experience the Monkey and Put Some Flavor In Your Mouth! 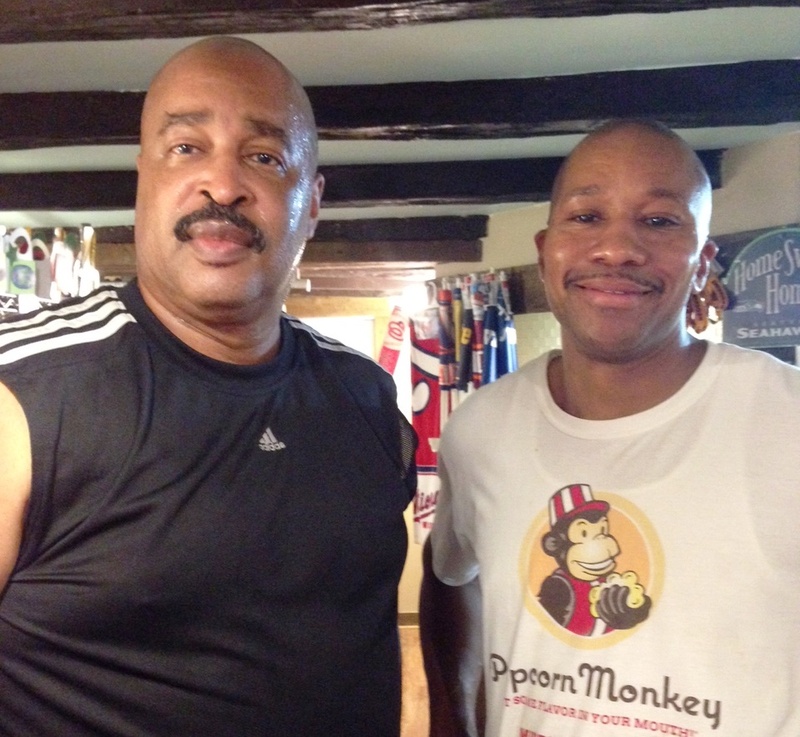 Black Men In America.com Founder Gary Johnson and Popcorn Monkey Owner Tone Moore at his Middleburg, VA location. Wednesday 11 a.m. – 5p.m. Hey Buddy!, I found this information for you: "Attention Popcorn Lovers – ‘Popcorn Monkey” Will Put Some Flavor In Your Mouth". Here is the website link: https://blackmeninamerica.com/attention-popcorn-lovers-popcorn-monkey-will-put-some-flavor-in-your-mouth/. Thank you.